Elohim (Hebrew: אֱלֹהִים) is a grammatically plural noun for “gods” or “Deity” in Biblical Hebrew. In the modern it is often times referred to in the singular despite the -im ending that denotes plural masculine nouns in Hebrew. It is generally thought that Elohim is a formation from eloah, the latter being an expanded form of the Northwest Semitic noun il (אֵל, ʾēl. The related nouns eloah (אלוה) andel (אֵל) are used as proper names or as generics, in which case they are interchangeable with elohim. The notion of divinity underwent radical changes throughout the period of early Israelite identity. The ambiguity of the term elohim is the result of such changes, cast in terms of “vertical translatability”, i.e. the re-interpretation of the gods of the earliest recalled period as the national god of monolatrism as it emerged in the 7th to 6th century BCE in the Kingdom of Judah and during the Babylonian captivity, and further in terms of monotheism by the emergence of Rabbinical Judaism in the 2nd century CE. The word is identical to the usual plural of el meaning gods or magistrates, and is cognate to the ‘l-h-m found in Ugaritic, where it is used for the pantheon of Canaanite gods, the children of El and conventionally vocalized as “Elohim”. Most use of the term Elohim in the later Hebrew text imply a view that is at least monolatrist at the time of writing, and such usage (in the singular), as a proper title for the supreme deity, is generally not considered to be synonymous with the term elohim, “gods” (plural, simple noun). Hebrew grammar allows for this nominally-plural form to mean “He is the Power (singular) over powers (plural)”, or roughly, “God of gods”. Rabbinic scholar Maimonideswrote that the various other usages are commonly understood to be homonyms. Extraterrestrial creationism is the belief that life on Earth was created by a race of extraterrestrials that came to be worshipped by men as gods due to their immortality and extraordinary powers. The extraterrestrials are known either as the Hebrew “Elohim” (interpreting Elohim as plural “gods” instead of the “royal we”) or the Babylonian Annunaki (Those who from heaven to Earth came). Genesis is believed to be a generally historically accurate account of the creation of the Earth, life, and mankind by these extraterrestrials. The phrase “Let us create man in our own image and after our likeness” is taken literally, rather than allegorically. The common ancient belief that the gods lived in “heaven” is used as a basis to believe that the gods descended from heaven in space-ships. The nephilim and giants mentioned in Genesis as the children of the “sons of God and daughters of men” are described as a hybrid race of these extraterrestrials and men. “The word Elohim is the plural of El (or possibly Eloah) and is the first name of God given in the Old Testament: “In the beginning, God (Elohim) created the heavens and the earth, (Gen. 1:1). 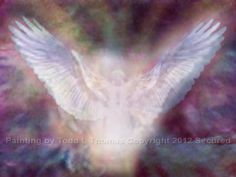 The etymology of the word Elohim is prehistoric, and therefore unknown. There are many theories, however, including the following: Some trace its origin in el or ul which may mean (“to be strong”) or possibly (“to be in front”), from which also are derived ayil (“ram”, the one in front of the flock) and elah (the prominent “terebinth”); Elohim would then be an expanded plural form of El. (However, Semitic etymologies are actually generally based on triconsonantal roots, which this proposal completely ignores. )Others relate both Elohim and Eloah (“a god”) to alah (“to terrify”) or alih (“to be perplexed, afraid; to seek refuge because of fear”). Eloah and Elohim, therefore, would be “He who is the object of fear or reverence,” or “He with whom one who is afraid takes refuge”. -Some see Elohim as a plural of Eloah. While the words El, Elohim, and Eloahare clearly related, with the word El being the stem, it is uncertain whether the word Elohim is derived directly from El or from Eloah. The word Eloah is a singular (or dual) form of Elohim and appears more than seventy times in the Old -Testament, primarily in poetic passages where Elohim is generally used in narrative passages. -Others relate both Elohim and Eloah (“a god”) to alah (“to terrify”) or alih (“to be perplexed, afraid; to seek refuge because of fear”). Eloah and Elohim, therefore, would be “He who is the object of fear or reverence,” or “He with whom one who is afraid takes refuge”.In a view common among both secular scholars and polytheists, the word’s plurality is seen as reflective of an early Judaic polytheism. Originally meaning “the gods”, or the “sons of El,” the supreme being, the word may have been singularized by later monotheist priests who sought to replace worship of the many gods with their own patron god YHWH alone.The choice of the word for God varies in the Hebrew Bible. Some scholars view these variations as evidence of different source texts, the “documentary hypothesis.” According to the proponents of this theory, Elohim is consistently used in texts that reflect the early northern traditions of the Kingdom of Israel, whereas Yahweh (Jehovah) is consistently used in texts that derive from the early southern traditions of the Kingdom of Judah and Jerusalem. Biblical scholars tend to resist making connections with the father god of Ugarit, El, due to the uncertainty of religious links between Canaanite and Israelite religion. Instead they focus on the common Semitic linguistic background of these two cultures. -In one view, predominant among monotheists, the word is plural in order to augment its meaning to form either a plural of majesty or an abstraction meaning “Divine majesty”. 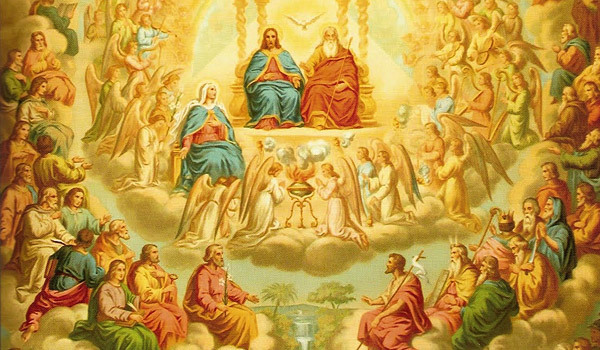 -Among Trinitarian Christian writers it is seen as evidence for the doctrine of the Trinity, a plurality in the Godhead.In one view, predominant among monotheists, the word is plural in order to augment its meaning to form either a plural of majesty or an abstraction meaning “Divine majesty”. -In a view common among both secular scholars and polytheists, the word’s plurality is seen as reflective of an early Judaic polytheism. Originally meaning “the gods”, or the “sons of El,” the Supreme Being, the word may have been singularized by later monotheist priests who sought to replace worship of the many gods with their own patron god YHWH alone. The choice of the word for God varies in the Hebrew Bible. Some scholars view these variations as evidence of different source texts, the “documentary hypothesis.” According to the proponents of this theory, Elohim is consistently used in texts that reflect the early northern traditions of the Kingdom of Israel, whereas Yahweh (Jehovah) is consistently used in texts that derive from the early southern traditions of the Kingdom of Judah and Jerusalem. Hence, higher criticism has found it useful to distinguish between “E” traditions and “J” traditions, which they see as reflective of multiple sources and multiple authors for Genesis. See also the JEDP theory for extension of the documentary hypothesis to the idea of multiple sources and authorship for the entire Pentateuch. Elohim is the common name for God. It is a plural form, but “The usage of the language gives no support to the supposition that we have in the plural form Elohim, applied to the God of Israel, the remains of an early polytheism, or at least a combination with the higher spiritual beings” (Kautzsch). Grammarians call it a plural of majesty or rank, or of abstraction, or of magnitude (Gesenius, Grammatik, 27th ed., nn. 124 g, 132 h). The Ethiopic plural amlak has become a proper name of God. Hoffmann has pointed out an analogous plural elim in the Phoenician inscriptions (Ueber einige phon. Inschr., 1889, p. 17 sqq. ), and Barton has shown that in the tablets from El-Amarna the plural form ilani replaces the singular more than forty times (Proceedings of the American Oriental Society, 21-23 April, 1892, pp. cxcvi-cxcix). The material universe is created from the energies of the seven rays, and this is done by reducing the vibration of the rays by a certain factor. A mental blueprint is then superimposed upon this energy in order to form the basic structures that make up the material universe. 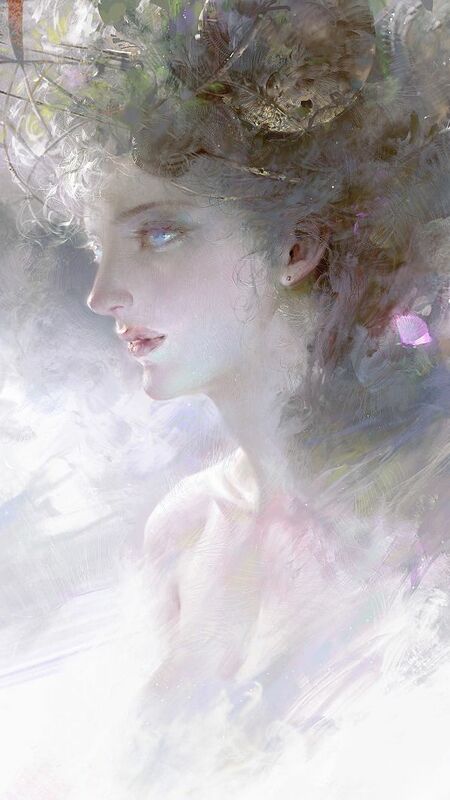 The beings who initiated and oversee this process are often called the “Elohim,” but they can also be called “God and Goddesses.” Again, there is a masculine/feminine polarity at this level. 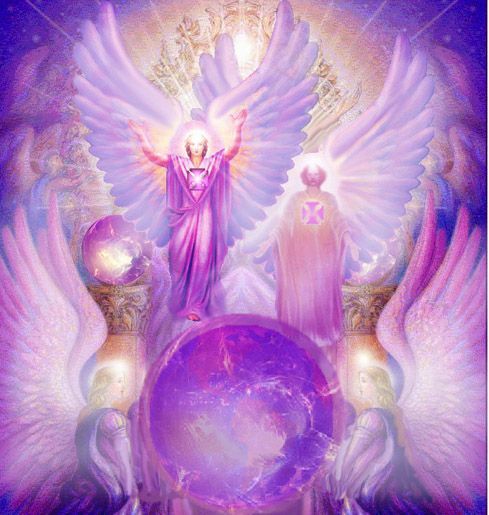 The Elohim lived their lives on an etheric plane which in many ways would have similarities to our own for different energies could be brought together to create homes and buildings. The interaction between the physical and etheric planes is very interesting. Some people might have seen the film Ghost, where Patrick Swazi tries to discover his murderer whilst in an ‘out-of-body’ state. This is a fairly accurate portrayal of the relationship between these two planes. The Elohim worked with crystal energies from different stones and some have perceived their ‘cities’ as crystal complexes not unlike those depicted in the Superman movies. Indeed his stories are also a sort of memory of the skills available to the Elohim. Perhaps the blue and red tights are a little far fetched for that is not my recollection, but the ability to fly, to see through matter with laser eyes, to connect to distant worlds were all a part of their abilities. Their reproduction methods were slightly different from somatic evolution but in principle they too would go through a series of lives in the same way that we do here on Earth. They were a scientifically advanced race working with many different forms of energy and having the abilities for space travel. Because their energy frequencies were on a less dense level to the physical world that we inhabit they were not so restricted by the laws of physics that govern our realm. However they were a form of human being experiencing similar mental and emotional responses as we do. Elohim has been explained as a plural form of Eloah or as plural derivative of El. Those who adhere to the former explanation do not agree as to the derivation of Eloah. There is no such verbal stem as alah inHebrew; but the Arabist Fleischer, Franz Delitzsch, and others appeal to the Arabic aliha, meaning “to be filled with dread”, “anxiously to seek refuge”, so that ilah (eloah) would mean in the first place “dread”, then the object of dread. Genesis 21:42 and 53, where God is called “the fear of Isaac”, Isaiah 8:13, andPsalm 75:12, appear to support this view. But the fact that aliha is probably not an independent verbal stem but only a denominative from ilah, signifying originally “possessed of God” (cf. enthousiazein, daimonan) renders the explanation more than precarious. There is no more probability in the contention ofEwald, Dillmann, and others that the verbal stem, alah means “to be mighty”: and is to regarded as a by-form of the stem alah; that, therefore, Eloah grows out of alah as El springs from alah. Baethgen(Beitrage, 297) has pointed out that of the fifty-seven occurrences of Eloah forty-one belong to the Book ofJob, and the others to late texts or poetic passages. Hence he agrees with Buhl in maintaining that the singular form Eloah came into existence only after the plural form Elohim had been long in common use; in this case, a singular was supplied for its pre-existent plural. But even admitting Elohim to be the prior form, its etymology has not thus far been satisfactorily explained. The ancient Jewish and the early ecclesiastical writers agree with many modern scholars in deriving Elohim from El, but there is a great difference of opinion as to the method of derivation. Nestle (Theol. Stud. aus Würt., 1882, pp. 243 sqq.) supposes that the plural has arisen by the insertion of an artificial h, like the Hebrew amahoth (maidens) from amah. Buhl (Gesenius Hebraisches Handworterbuch, 12th ed., 1895, pp. 41 sq.) considers Elohim as a sort of augmentative form of El; but in spite of their disagreement as to the method of derivation, these writers are one in supposing that in early Hebrew the singular of the word signifying God was El, and its plural form Elohim; and that only more recent times coined the singular form Eloah, thus giving Elohim a grammatically correct correspondent. Lagrange, however, maintains that Elohim and Eloah are derived collaterally and independently from El. Elohim is not found among all the Semitic races; the Aramaeans alone seem to have had an analogous form. It has been suggested that the name Elohim must have been formed after the descendants of Shem had separated into distinct nations. 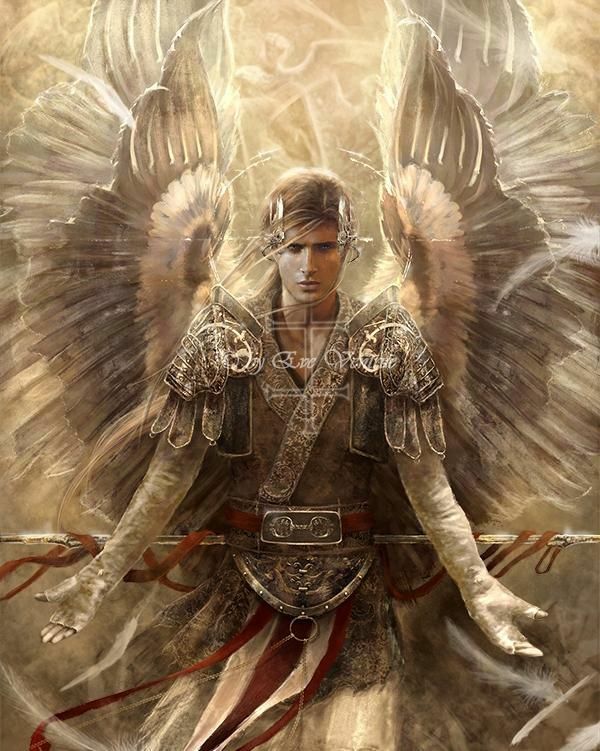 If Elohim be regarded as derived from El, its original meaning would be “the strong one” according to Wellhausen’s derivation of El, from ul (Skizzen, III, 169); or “the foremost one”, according to Nöldeke’s derivation of El from ul or il, “to be in front” . If we have recourse to the use of the word Elohim in the study of its meaning, we find that in its proper sense it denotes either the true God or false gods, and metaphorically it is applied to judges, angels, and kings; and even accompanies other nouns, giving them a superlative meaning. The presence of the article, the singular construction of the word, and its context show with sufficient clearness whether it must be taken in its proper or its metaphorical sense, and what is its precise meaning in each case. Kautzsch(Encyclopaedia Biblica, III, 3324, n. 2) endeavours to do away with the metaphorical sense of Elohim.Instead of the rendering “judges” he suggests the translation “God”, as witness of a lawsuit, as giver of decisions on points of law, or as dispenser of oracles; for the rendering “angels” he substitutes “the gods of the heathen”, which, in later post-exilic times, fell to a lower rank. But this interpretation is not supported by solid proof. According to Renan (Histoire du peuple d’Israel, I, p. 30) the Semites believed that the world is surrounded, penetrated, and governed by the Elohim, myriads of active beings, analogous to the spirits of the savages, alive, but somehow inseparable from one another, not even distinguished by their proper names as the gods of the Aryans, so that they can be considered as a confused totality. Marti (Geschichte der israelitischen Religion, p. 26), too, finds in Elohim a trace of the original Semitic polydemonism; he maintains that the word signified the sum of the divine beings that inhabited any given place. Baethgen(op. cit., p. 287), F.C. Baur (Symbolik und Mythologie, I, 304), and Hellmuth-Zimmermann (Elohim, Berlin, 1900) make Elohim an expression of power, grandeur, and totality. Lagrange (op. cit., p. 78) urges against these views that even the Semitic races need distinct units before they have a sum, and distinct parts before that arrive at a totality. Moreover, the name El is prior to Elohim (op. cit., p. 77 sq.) and El is both a proper and a common name of God. Originally it was either a proper name and has become a common name, or it was a common name has become a proper name. In either case, El, and, therefore, also its derivative form Elohim, must have denoted the one true God. This inference becomes clear after a little reflection. If El was, at first, the proper name of a false god, it could not become the common name of a false god, it could not become the common name for deity any more than Jupiter or Juno could; and if it was, at first, the common name for deity, it could become the proper name only of that God who combined in him all the attributes of deity, who was the one true God. This does not imply that all the Semitic race-shad from the beginning a clear concept of God’s unit and Divine attributes, though all had originally the Divine name El. There are three roots of the form אלה (‘lh) in the Bible, and one demonstrative pronoun. Of one of the three roots אלה (‘lh) presumably come the Hebrew words for God. It’s meritorious to realize that where our word ‘God’ is a highly reserved word for the one true deity, and other ‘gods’ are indicated by the lower-case g, in Hebrew the words for ‘God’ and ‘gods’ are identical, are used for other ideas as well, and are part of a cluster of identical and similar words. The Sumerians were the first at pretty much everything and the Egyptians built buildings that we today could not produce. The armies of these regions may sometimes have been at odds with each other but their men of wisdom thrived within the exchange of knowledge and ideas. These people were precisely as intelligent as we are today, but their heads weren’t filled with the vast library of distractions we treat ourselves too on a daily basis. Our knowledge and their knowledge do not relate like, say, a child’s drawing versus the schematic of the space shuttle, but are of similar height and depth but with different focal points. They didn’t have iron not because they didn’t know how to work it, but simply because that’s not what their society was going for. In other words: their men of wisdom had better things to do than figure out how to make steel, and where we today are great at making implements of destruction, they were great at things we know nearly nothing about. What’s left of their legacy has for long been dubbed fables and mythology, but most recent times has seen an increasing urge of researchers to brave the truth: we are the stupid ones, not they. These phenomenal ancient keepers of all of mankind’s wisdom combined also gave us the source texts of the Bible. Hence the Bible does not merely speak of theological or even mythological matters, as many today believe, but the whole of wisdom across the entire scientific, technological and artistic spectrum. And these same ancient scientists knew the universal Creator and Maintainer by a word that was identical to the words for ‘these’ and a verb that means to swear. Also we can find reference in the book to Seth, Methuselah and others living to ages of eight or nine hundred years. This is surely a hint to the length of lifespan of an ‘etheric’ being. These cast new light on the role of these beings on the Earth and others too had been aware of their influence, in the distant past, in the development of the human race. When the first revelations came flooding in that this race had been responsible for the creation of our present human species through genetic manipulation and in that process something had gone wrong. Some deep flaw, or imbalance had been woven into the matrix of humanity – an original sin as the Bible so graphically puts it. Even when we experience the power of these altered states of consciousness and the knowings of their veracity it is always helpful to have backing from others who independently have experienced something similar. It is also wonderful when science catches up and provides corroboration of such happenings. Science does not yet understand why we should have those additional genes and perhaps never will unless it can begin to take on board some of these other dimensional concepts. To the ancients, the Living God was not some invisible deity that you simply had to believe in (and whose invisibility was merely a ploy to test one’s faith), but the obvious, unified mind behind the whole, clearly observable. Also note the similarities between the following word group and the root-group אלל אול (‘wl and ‘ll), and particularly the noun אלה (‘allah and ‘elah), meaning oak or terebinth, which appears to demonstrate that the ancients saw their reality as a forest of interlocked (evolutionary) trees, rather than the steady-state model of medieval exegetes. It also strongly suggests that Abraham wasn’t just having a picnic when YHWH met him at the oaks of Mamre but was involved in the local wisdom school (Genesis 18:1). Likewise the Oak of Deborah (a name derived from Dabar, or Logos in Greek) was not simply an arboreal place of repose but a particular school of science and technology (Genesis 35:8). And likewise, Absalom’s famous demise with his hair stuck in the branches of an oak, is not simply a snazzy Hollywood ending but demonstrates that Absalom was overwhelmed by superior theory, or rather: the natural rules upon which the world works (2 Samuel 18:9). Though Elohim is plural in form, it is understood in the singular sense. Thus, in Genesis the words, “In the beginning God (Elohim) created the heavens and the earth,” Elohim is monotheistic in connotation, though its grammatical structure seems polytheistic. The Israelites probably borrowed the Canaanite plural noun Elohim and made it singular in meaning in their cultic practices and theological reflections. 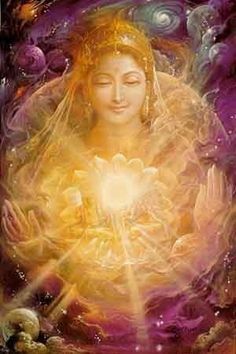 “Beginning in the Heart of the Great Central Sun, Hierarchy manifests as the stepping-down of the Energies of Alpha and Omega, of the Sacred AUM, of the I AM THAT I AM that is the Fiery Focal Point for the whole of creation, the whole of the cosmos. The Elohim and Cosmic Beings carry the greatest concentration, the highest vibration of Light that we can comprehend in our state of evolution. 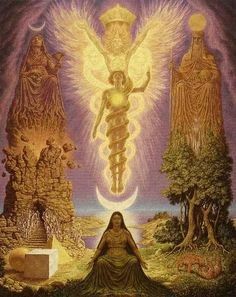 “The Elohim, the most powerful aspect of the Consciousness of God, include in their Hierarchy “Elemental Builders of Form”. 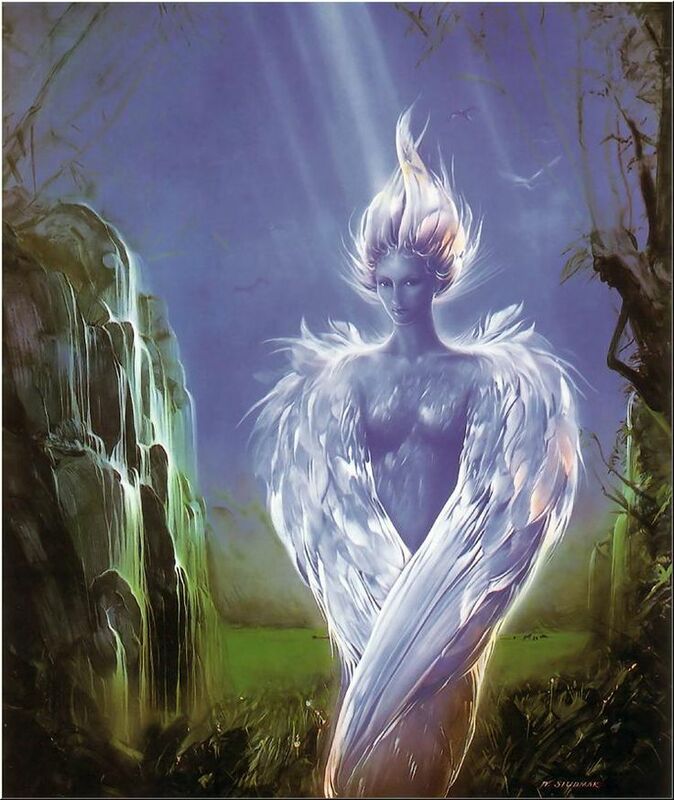 Elemental’s are the sylphs that control the air, the gnomes that control the earth, the undines that control the water, and the salamanders that control the fire element. These four aspects also govern man’s four lower bodies. Serving directly under the Elohim are the Beings of Nature – the Four Beings of the Elements, who are the Twin Flames who have dominion over all of the evolution of the gnomes, salamanders, sylphs, and undines. .
“The Seven Mighty Elohim and Their Divine Complements, their Feminine Counterparts, are the Builders of Creation. It was They who responded to the Fiat of the Lord God ‘Let there be Light: and there was Light’ and the Fiat of Creation to create the worlds. . . .